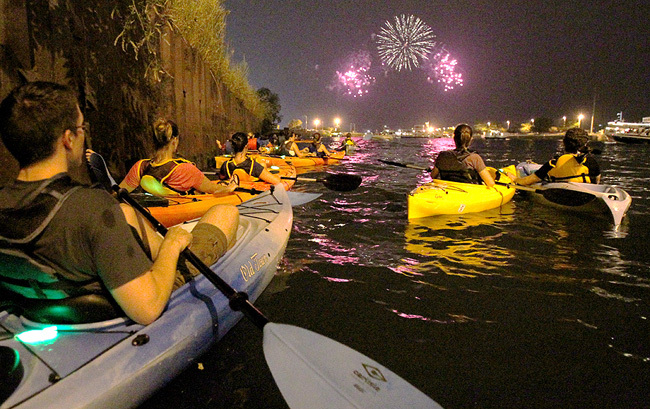 A UNIQUELY CHICAGO EXPERIENCE THAT IS A NIGHT TO REMEMBER! 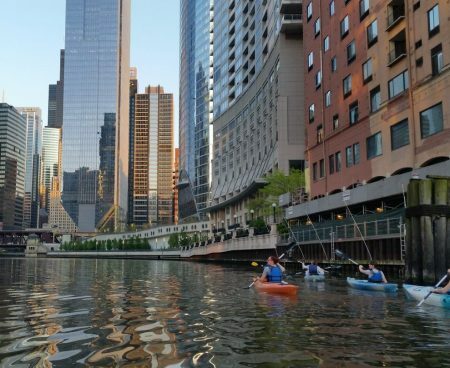 This unforgettable trip through the beating heart of the city provides an elegant and beautiful way to view Chicago at sunset and after dark – including a great Navy Pier fireworks show over Lake Michigan. 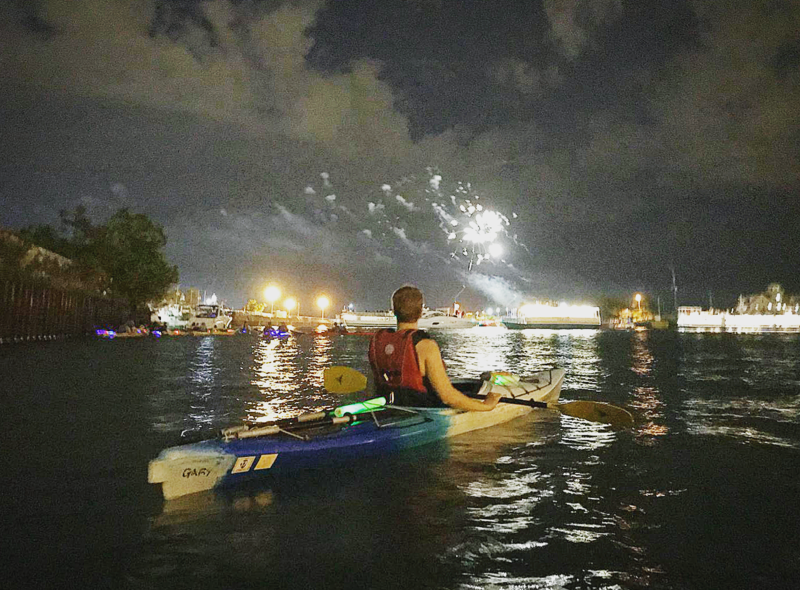 At just over 3 miles round-trip, this tour is an ideal distance for both amateurs and experienced paddlers alike. 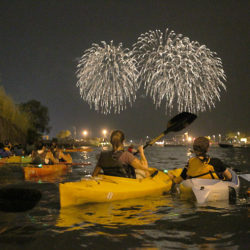 Take in the fireworks at the twilight’s last gleaming from the unique vista of a kayak on the rippling waters of the Chicago River. 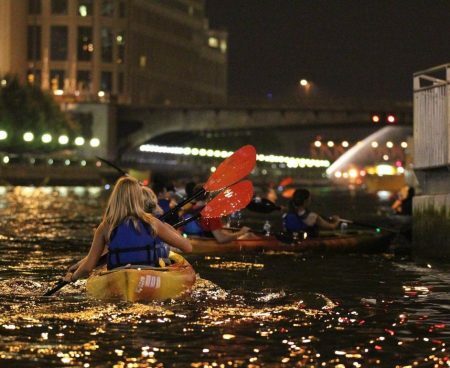 After the show, paddle back beneath the twinkling lights of some of America’s most beautiful buildings! 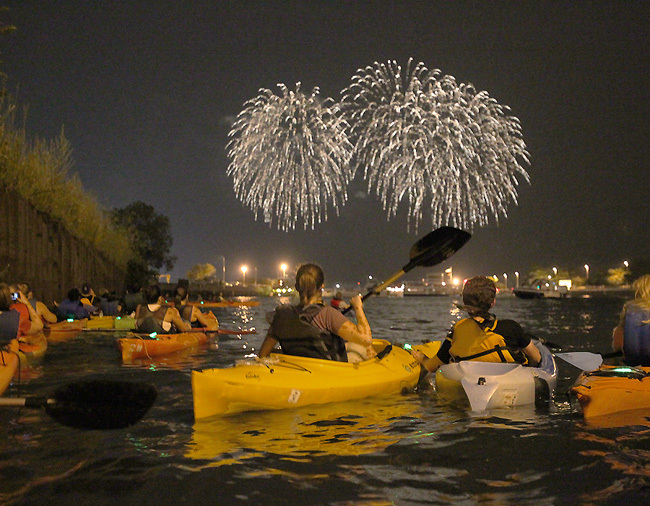 Special July 4th Fireworks Tour TBA! 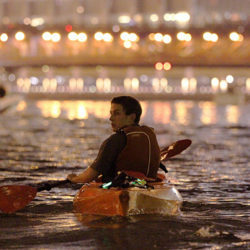 Children too small to paddle can ride in the middle of a double kayak (between two adults) at no extra charge. 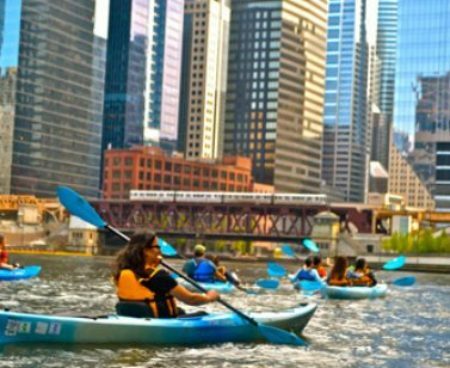 At the beginning of each tour, we teach the basics of flat water kayaking and brief our guests on river safety in a 10 minute safety orientation. 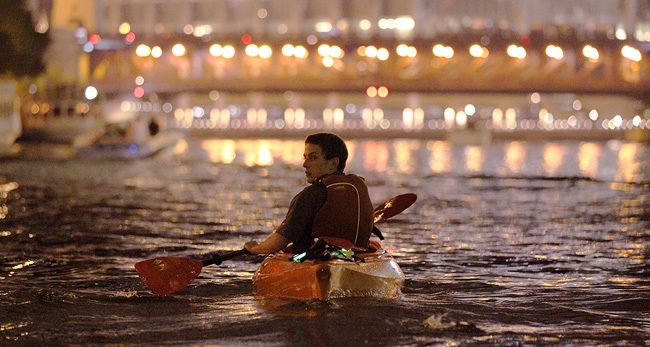 Once we are all in kayaks, we begin our paddle from our dock to the locks. 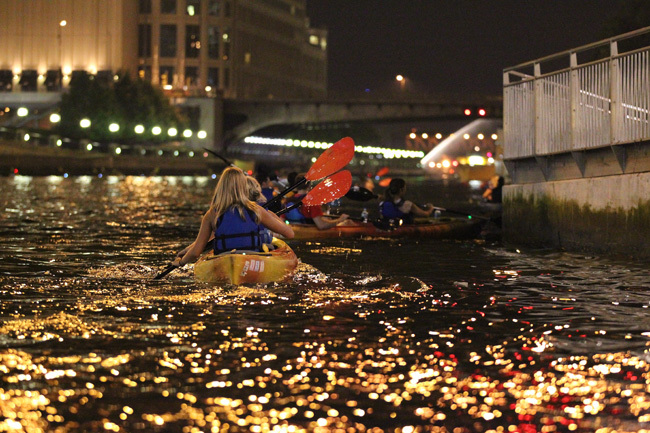 Just after the first bridge, we are greeted by one of the most breathtaking views on the river. 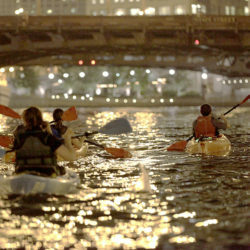 We then paddle to another fantastic vista at Wolf Point, and soon after, we proceed to navigate down the beautifully lit East Branch towards Navy Pier. 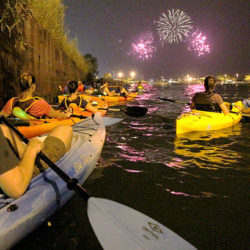 Grab on to the wall once we get down near the locks so you don't float away as we enjoy the fantastic fireworks display! 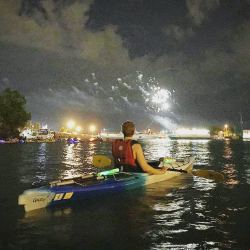 Savor the moment as you look on along with a legion of other boaters of all shapes and sizes as the fireworks launch from just beyond Navy Pier. Keep your gaze upward to enjoy the amazing views from a new side of the river as we make our way home. 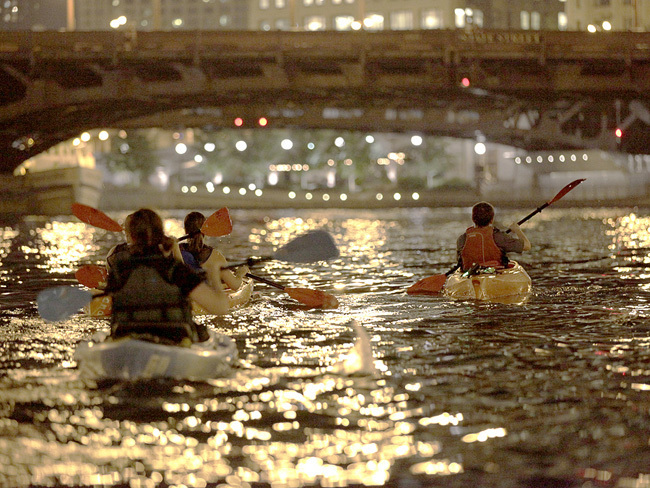 With each stroke of your paddle, discover a unique view of the city, illuminated from within against the backdrop of the night sky. Unbeatable Views of the Fireworks!